San Francisco, California-based HotelTonight, the popular last-minute hotel booking service, is continuing its expected roll-out in Europe. 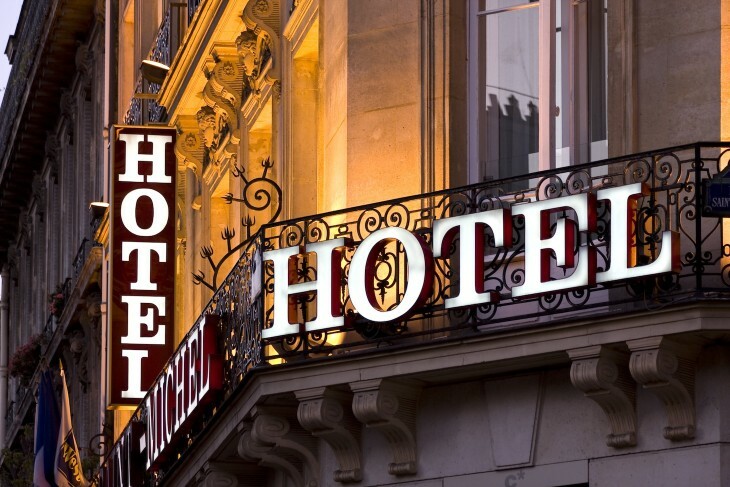 After landing in the UK and Ireland earlier this year, with Hot and Blink as its prime competitors, the company is now pushing into continental Europe with the launch of initial hotel offerings in Paris and Nice (France), Brussels (Belgium) and Amsterdam (the Netherlands). 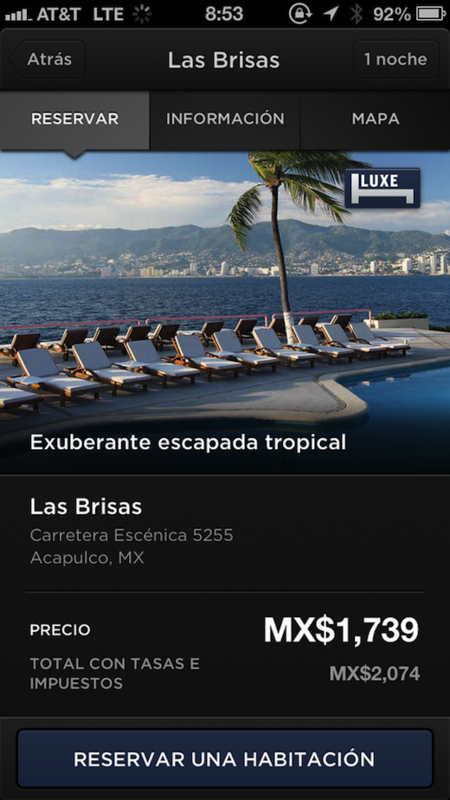 In addition, HotelTonight plans to expand to Latin-America with the addition of Mexico City and Acapulco to its international destinations list – scheduled for tomorrow. With these newly added cities (and more in the US and Canada that have been brought into the fold), HotelTonight now offers last-minute hotel rooms at significant discounts in over 70 destinations across the globe. HotelTonight has also announced today that it has released new versions of its free iPhone, iPad and Android apps, which had last been given a major revamp back in September 2012. The new, localized versions of the apps (v4.2) now support multiple languages, namely French, German, Italian and Spanish. They also feature international payment and currency conversion for EUR, GBP, MXN, CAD and USD. You can find screenshots below. 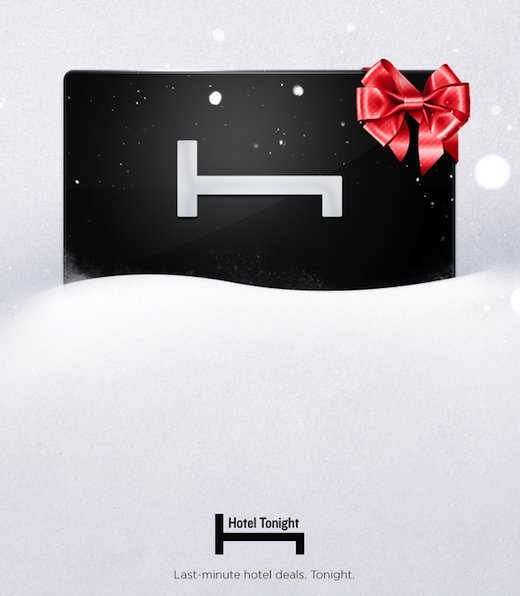 Finally, HotelTonight is today also introducing ‘Gift Credits’, basically giving people the ability to gift last-minute getaways. 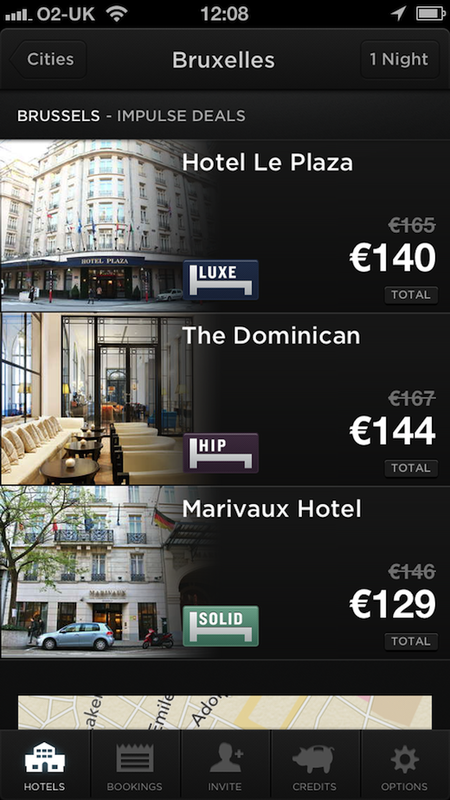 Since its launch in January 2011, HotelTonight has secured more than $35 million in funding. The company recently made its first acquisition since its inception in 2010, snapping up San Francisco-based PrimaTable.